COWAL: At the Holy Loch today – ca 70 Whooper Swans in two groups (Alistair McGregor). 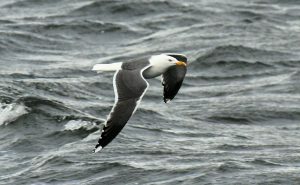 KINTYRE: A total of 61 Lesser Black-backed Gulls >N / 4hrs from 11:30hrs; passage commenced after rain stopped (largest loose groups were 19, 14 and 12). (Eddie Maguire). ISLAY: A Sandwich Tern reported at Machir Bay today (per BirdGuides). 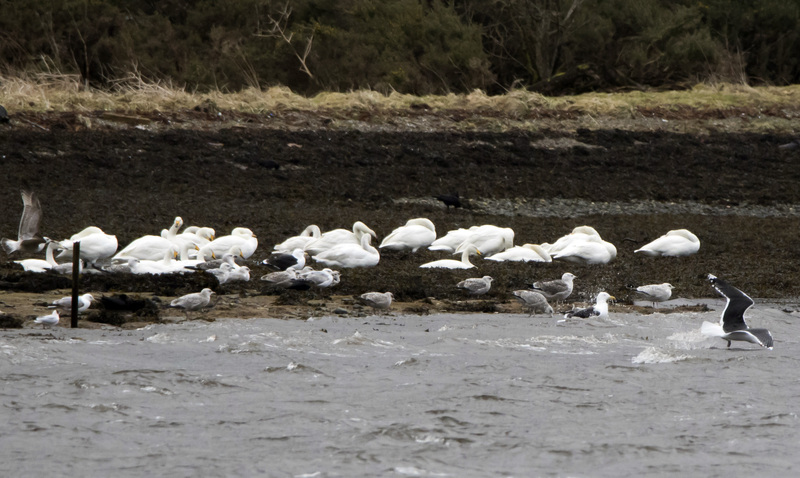 Whooper Swans – Holy Loch, Cowal 16th Mar (Alistair McGregor). LBB Gull – Machrihanish, Kintyre 16th Mar (Eddie Maguire).